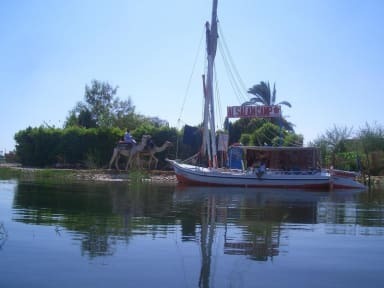 Al Salam Camp really deserves it's name: it's a beautiful and peaceful oasis right next to Luxor. The host is very friendly and always ready to give advices or just to have interesting conversation about everything. The homemade food is very delicious and deserves a try! I had an amazing time in al Salam camp and I highly recommend it. I myself am looking forward to come back soon! Al salam camp is a great place to stay! Clean, calm with a beautiful garden perfect to rest after visiting the valleys. Ahmed is a super hostel manager: he cooks delicious breakfast and dinners and has a lovely way to take care, he provided for us two bikes that made our visits to the valleys amazing! Definitely a place to come back! We are two girls (20) who had a wonderful stay in Al Salam. Planning on 2, we ended up staying 4 days cause we really liked the spot right next to Nil and close to Valleys of Kings etc. Our Host Achmed was helpful with any concern. He organized whatever we needed (bicycle, motorbike, boat, taxi,...) even at five in the morning for an early temple tour. He made us delicious breakfast, kept us good company and provided us with local tips. Its a great place if you enjoy Nature, Cats and local vibe. Basic, but very cosy accomodation. A lot less busy than on the Luxor side, though still a good place to begin exploring the area. Super friendly host too, he can organise pretty much anything in the area and makes a very tasty breakfast and dinner. 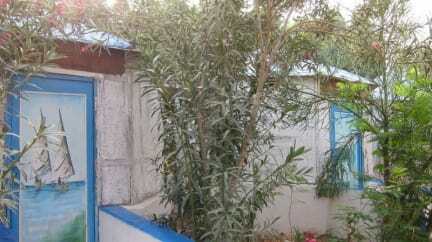 I travelled about 2 years and Ahmet (the owner) was by far the most distespectfull hostelowner in all the time. When I arrived he told me all rooms are full, even I booked and I have to sleep outside (happened to other people aswell). Luckely I had a tent with me. A lot of other stuff happend, but sadly I just have 500 letters. Also he told a friend of mine, she has to sleep in the same room as him, because everything is full and then he tried to got into her bed, so she slept in the bathroom.